CEDAR FALLS, Iowa – UNI cashed in on a pair of early takeaways and a suffocating defensive effort to hand Missouri State a season-ending 37-0 setback Saturday afternoon at the UNI-Dome. The Panthers tallied 17 points off of turnovers and limited the Missouri State offense to 211 yards and nine first downs in securing their third shutout of the season. MSU dropped its fifth-straight contest to end the year and its 13th in a row against UNI since 2006. Korby Sander led the shutdown performance for the UNI defense, totaling a game-high 13 stops to go along with a forced fumble and an interception. Duncan Ferch also delivered for the Panthers, registering five tackles and turning in two key plays that led to MSU turnovers. 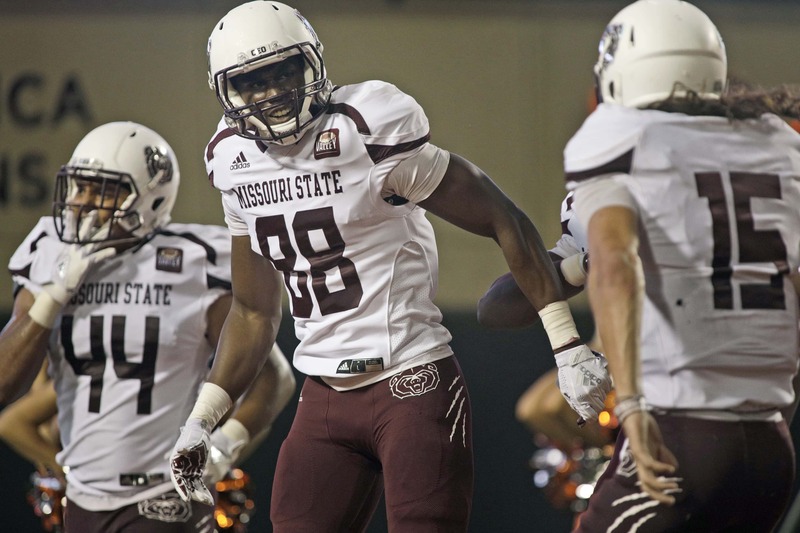 Despite an inspired start from the Bears defense, the Panthers (6-5, 5-3 MVFC) capitalized on a pair of Missouri State (4-7, 2-6 MVFC) turnovers in the first five minutes of the contest to seize a 10-point cushion. Sander caused a Peyton Huslig fumble on the first play from scrimmage to set UNI up at the MSU 26. Kylin Washington and Zack Sanders teamed up to bring down UNI’s Nick Fossey one yard shy of the first-down marker on a third-and-eight play, forcing a 34-yard Austin Errthum field goal that gave the home team a 3-0 lead. UNI’s defense stifled the MSU offense in the early stages, forcing the first of three first-quarter punts by Brendan Withrow on the ensuing drive. But the Bears defense stiffened as well, forcing a three-and-out from the Panther offense to bring on the UNI punt unit. However, a special teams miscue set the Panthers up deep in MSU territory once again, as the punt caromed off of a Bear and into the arms of Bryce Flater at the Bears 20-yard line. Three plays later, UNI quarterback Eli Dunne connected with Jaylin James on a 16-yard scoring toss in the corner of the end zone to make it a 10-0 game with 9:28 to play in the opening quarter. The Bears defense held the Panthers in check throughout most of the half, forcing punts on three consecutive UNI possessions to keep its offense within striking distance. But Dunne went to work late in the second period, going 4-for-5 for 48 yards during a 12-play, 88-yard drive that ended with his 27-yard TD pass to Jalen Rima. UNI came up with its third takeaway of the afternoon moments later, as Ferch deflected a Huslig pass and Sander made a diving interception at the UNI 37. Dunne came through again with a pair of big completions, hitting James for a 15-yard gain and Rima for 26 more to set up a 43-yard Errthum field goal with just 30 seconds to play in the half. The Panthers limited the Bears to just 81 yards and four first downs over the first 30 minutes of play. UNI added to its cushion with scoring drives on two of its three third-quarter possessions. On the Panthers first drive of the half, Dunne connecting with Rima on a 14-yard pass and Deion McShane for 12 yards, before Tyler Hoosman’s bruising 12-yard rush brought the Panthers to the doorstep of the end zone. Marcus Weymiller carried it in from there, stretching the margin to 27 points. In the closing minutes of the period, Errthum then capped a 12-play march with his third successful field goal attempt—this one from 27 yards out—to extend the lead to 30-0. Ferch came up big once again to set up the final scoring drive of the day, stepping in front of a Huslig pass and returning an interception 62 yards to the MSU, leading to a second Weymiller one-yard TD plunge and a 37-point bulge for UNI. Dunne completed his day 23-of-34 for 227 passing yards and two touchdowns, while the tandem of James and Rima combined for 11 catches and 143 yards, each hauling in a scoring reception. The Bears’ trio of Jared Beshore, Angelo Garbutt and McNeece Egbim led the MSU defense with 11 stops apiece, while Damoriea Vick caught three passes for 41 yards to pace the offense.